Nice-looking metallic red leather shoes designed by Mi Mi Sol. Made in Italy. 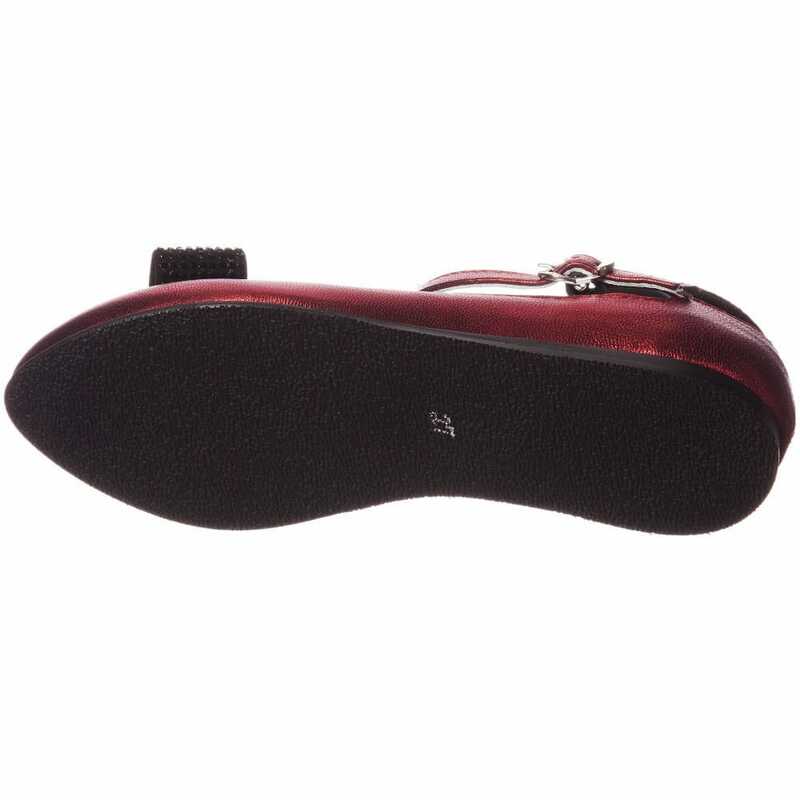 They have comfortable flat rubber soles, looks magnificent to wear every day or for special occasions. 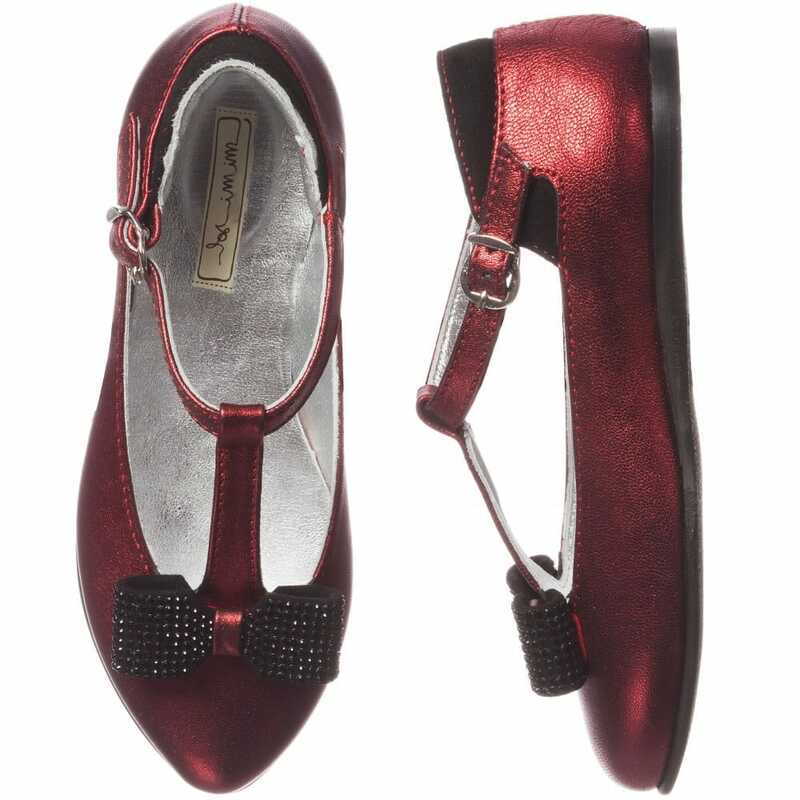 The shoes have pretty style with a cute bow on the front studded with gems. 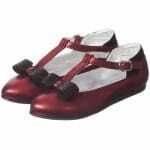 These shoes can be in different sizes from 24 to 38.